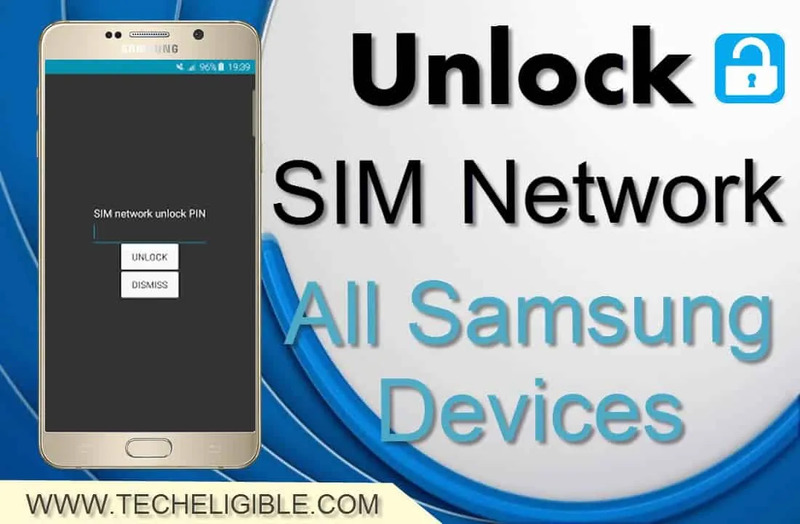 Unlock SIM Network PIN Samsung smartphones, and also this method would work perfectly other Samsung Galaxy devices such as (Galaxy S6 Edge+, S6 edge, S6, S5, S3, J7, J5, J3, J1, Note 6, Note 5), also hundreds of Samsung models can be unlocked easily by following this method. This method will also work for Latest Samsung Galaxy Devices, including (S7 Edge, S8, S8+, NOTE 8) by latest Z3x 29.5 version. -To successfully Unlock SIM Network PIN Samsung, you need to root your device first. -Once you successfully root device, you need to download Unlock SIM Network Pin Tools from below. Note: Turn off “Antivirus Software” to avoid any kind of interruption while opening “Z3X Tool”. -If you wanna apply this method on your latest Samsung Galaxy device such as (S7 Edge, S8, S8+, NOTE 8), then you have to download latest version Z3X Samsung Tool Pro 29.5v by click here. -Extract “Samsung USB Driver”, and install it. -Extract “Z3X Samsung Tool Pro”, and Install it. -Click below link to learn how to install “Z3X Samsung Tool Pro 28.2”. -Go to Samsung Smartphone > Menu->Settings->More->About Device. -Tap on “Build number” 7 times to enable developer options. -Turn on from there “USB Debugging” option. -Go back to menu, and click on “Dial Icon”. -After that, Select “DM+Modem+ADB“, now press “HOME BUTTON” to go back to home screen. -Go to > Settings > More > About Device/Phone > Software Info. -Note down your “Model Number”. Because we’ve to select right model number in “Z3X Tool” to Unlock SIM Network PIN Samsung smartphones. -Remove “Sim Card” from your device. -Select “Model” in “Z3X Samsung Tool”. -After that, click on “Unlock” tab. 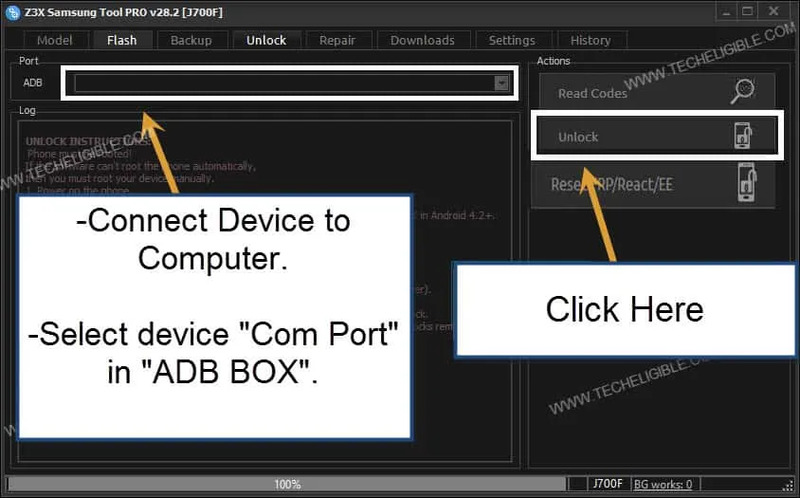 -Select “Device Port” in “ADB BOX”. -Click on “Unlock” Button to Unlock SIM Network PIN Samsung. Remember: If your “Device Model” is not listed in Z3X Software, then you can use “Miracle 2.54” Software to fix your issue as well. Click here to Download and solve multiple issues of Android Devices. Note: You may be given further instruction by “Z3X Tool”, just follow that as well. ◊ Download z3x Tool & Install it. ◊ ROOT Samsung device to unlock via Z3X Tool. ◊ Download SAMSUNG USB Driver & Install it. ◊ Enable USB Debugging in Samsung Device. ◊ Connect device to computer. ◊ Open Z3X Tool, Select Device “Model” in Z3X, and click on “UNLOCK” Tab. ◊ Now select “ADB Port” & Click on “UNLOCK” button. Will this work for J7 prime?